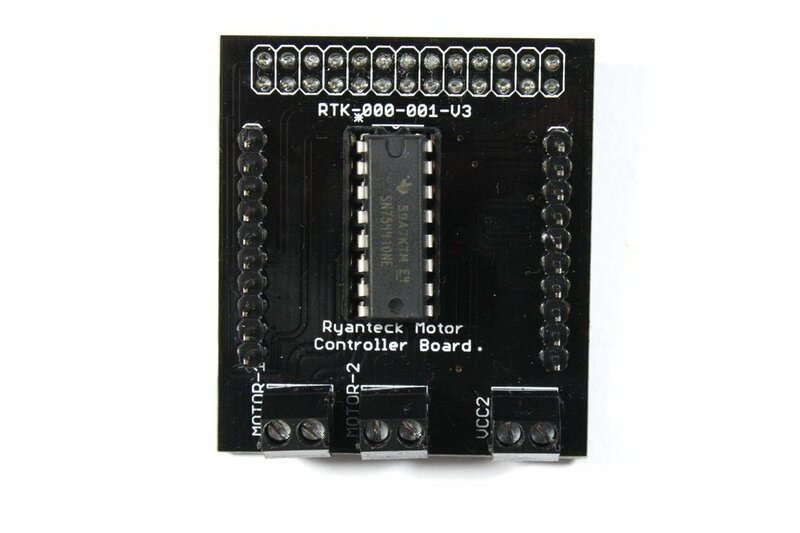 The New and improved RTK-000-001 / Motor Controller Board for Raspberry Pi is now pre-soldered and features a new and improved design breaking out the GPIO Pins to the side of the board. 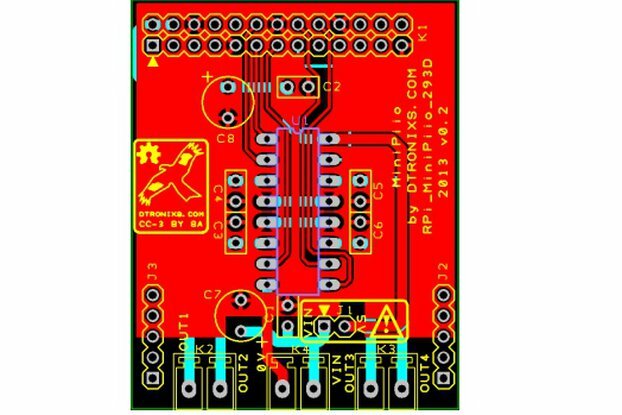 Once you receive the board then as simple as placing it on the Raspberry Pi's GPIO header, screwing an power pack and motors into the kit and then start programming. We officially support Python & Scratch at this point in time although you can use it with any language that allows you to control the GPIO pins including C, Java, PHP, Bash, Node.JS etc. The chip that we use also allows the use of Software Pulse Width modulation on the Pi for example using PWM in RPi.GPIO as being able to change the value of speed in Scratch. The speed produced depends on the motors you use along with the power method used. Best of all the new board is fully compatible with all old code! As mentioned above, programming the board to drive a motor is as simple as turning a pin on or off. Example code for Python & Scratch will be available soon in the example of a robot. Motor 1: 11 & 12 Motor 2: 15 & 16 Documentation & Resources Website Visual appearance may vary as shown between the two kit photos. Function wise will be the same. Soldered kits do not have the 3 2 Pin headers pre soldered. This does not affect function. Please also note that there is a soldering delay of a day. Tested it out (ordered it fully soldered) and it works fine. Shipped in plain padded envelope but pins were not properly covered and punctured the packaging. They were sticking through the envelope and were very bent on arrival. Easily bent back into place but I would recommend a thicker piece of foam to cover the pins and perhaps some more padding around the device. When this is happened before we found it was the final postman to blame and has only been reported once before. We'll look into the packaging options for these to try and prevent it from happening again. 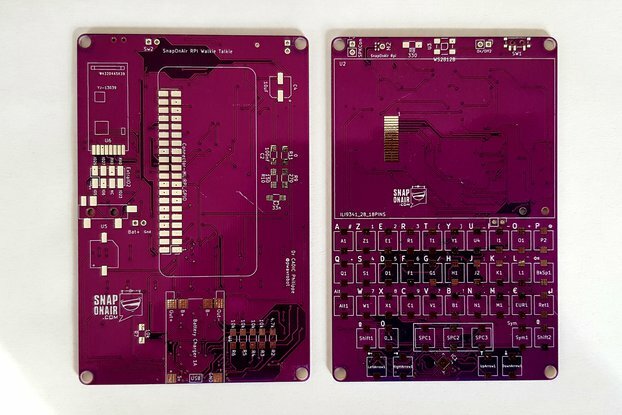 This kit, while it needs some soldering work, isn't too hard to make. It provides a simple and cheap motor interface for the Pi that's controllable for just about all the Pi's programming languages. It's a pretty simple circuit, essentially just a SN754410NE chip and some connectors, but it still manages to provide a useful addition to the Raspberry Pi. Assembly was also pretty simple, following the on-line assembly instructions although the screw terminals needed a bit of a wiggle and push to get them fully seated. This is probably a good thing, as it both made them easier to solder, and might even help keep them solid in the face of vibration. It could do with a bit more thought on testing the board as part of assembly, but essentially it works. Ryanteck Motor Control, Scratch and Lego. We've used the Ryanteck Motor Control on the Rasperry Pi to motorise a Lego carousel using a motor from an old toothbrush powered by two AA batteries. Using ScratchGPIO to control the motors forwards and backwards. Simple and works really well. Just on the look out for some slightly better motors now. This board is easy to assemble, completed well by 8 and 10 year olds, and easy to use - particularly with Scratch GPIO. 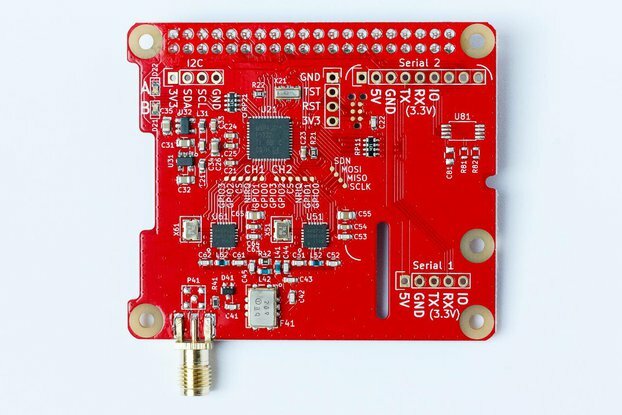 It has enough functionality to allow basic motor control but retaining the simplicity that means it is at the right price point for use by beginners and schools, it is good for more advanced users as well as the electronics are understandable and can be explained to somebody learning electronics.